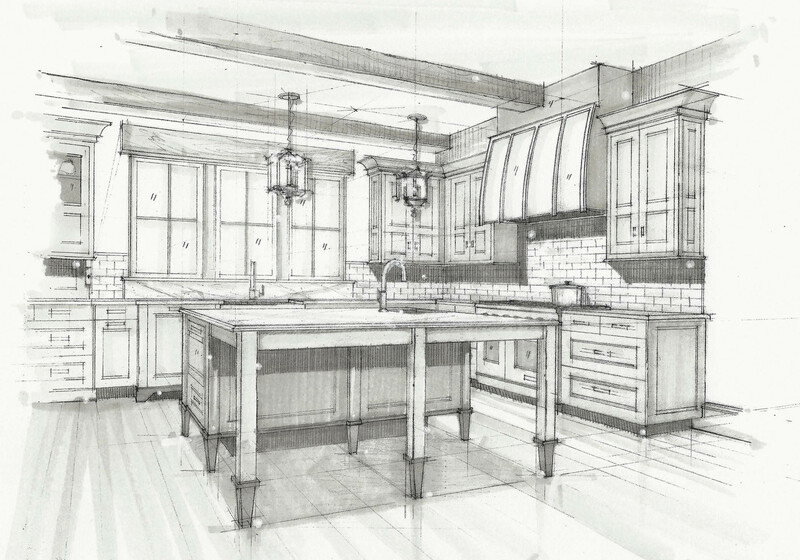 Inspired by the works of architect Robert A. M. Stern, this Kitchen is truly unique in both design and use of materials. 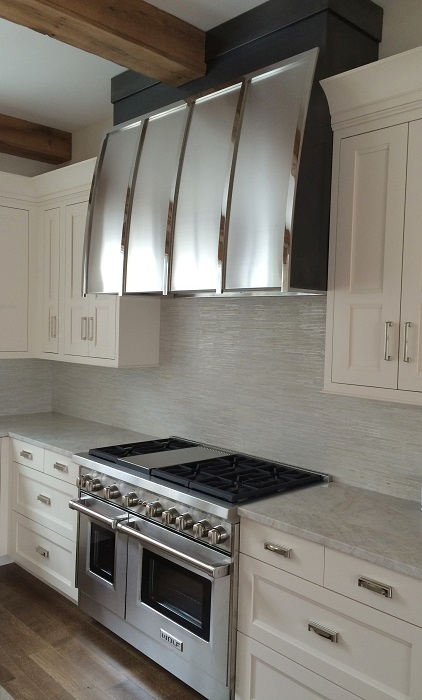 Stern’s classic, vernacular, “American” vocabulary was our starting point for creating a kitchen that embodies both classic and contemporary elements. 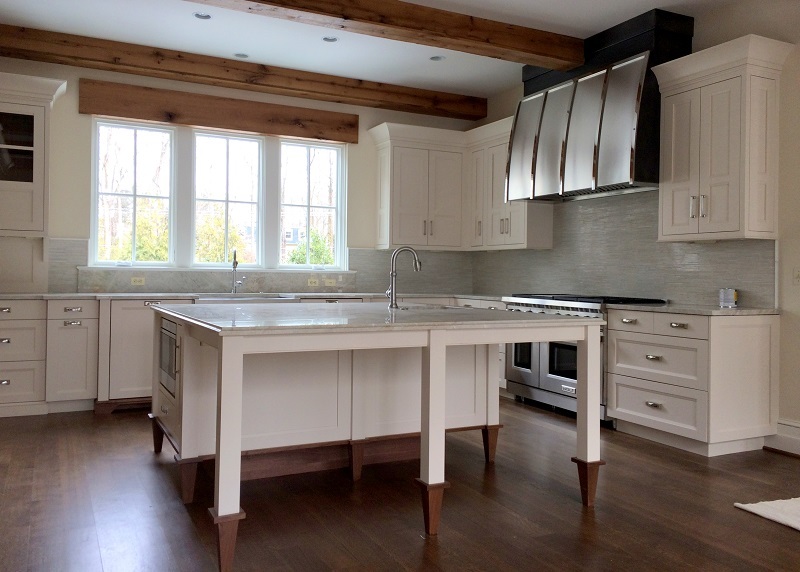 We chose to use a custom cabinetry door-style for this kitchen, with an unusual two-panel detail in the wall cabinets. The lower panel is the smaller panel, and this emphasizes the height of the upper panel, which is much like a detail seen in a classic skyscraper building. 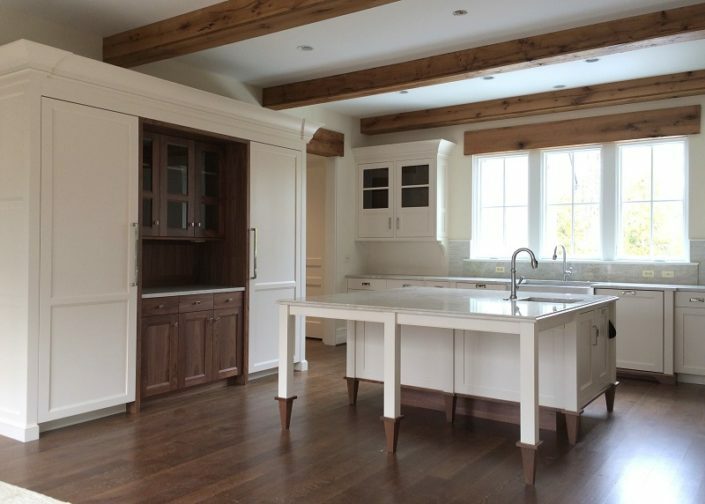 Harmony and simplicity was created by having the majority of the kitchen painted in one color, “Antique White”, with accent areas of American Black Walnut wood (seen in the inset cabinetry of the refrigerator wall and the island legs). A luxuriously simple custom made hood, executed in blackened steel and stainless steel, evokes the pattern and texture of standing seam roofs found in American farmhouses. 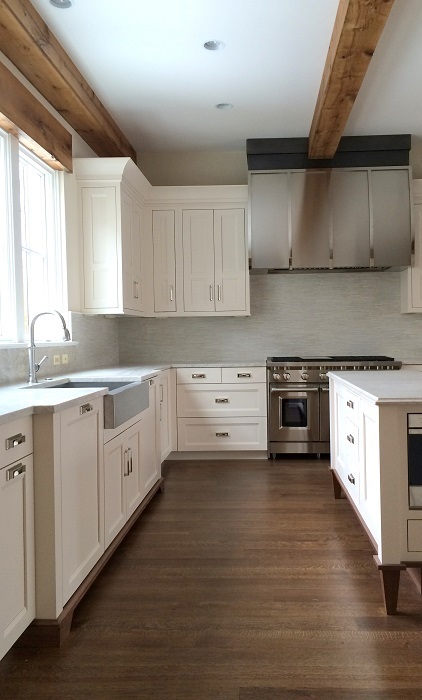 Simple, yet elegant in its details, this kitchen captures all the elements of a classical kitchen, but with a way that is both fresh and exciting. The house is located at 956 Mackall Farms Lane in McLean, Virginia and will be open from April 11 to May 10. All proceeds donated to Children’s National Health System. 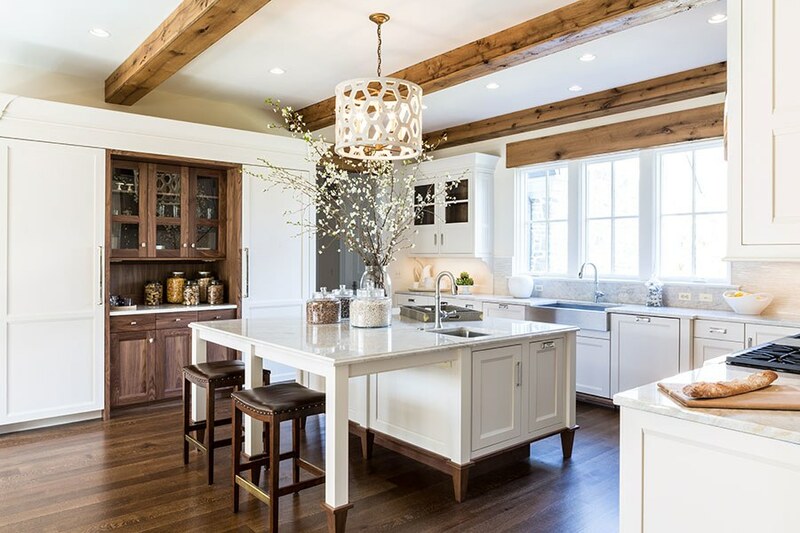 Simple and elegant with a rustic flair, the kitchen combines a soft white palette with black walnut wood accents and farmhouse-style details. The room’s best details: A custom-made hood in blackened and stainless steel; the two-panel custom cabinets; and the inset walnut pantry, flanked by hidden refrigerators.